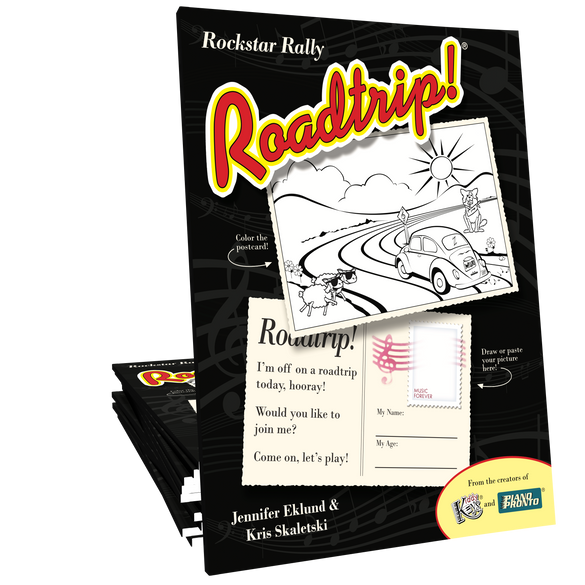 Roadtrip Rockstar Rally is a primer level songbook featuring eighteen favorites from the Roadtrip! 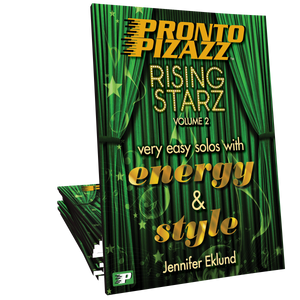 method book series including teacher duets. This book is great for Roadtrip! graduates transitioning into more traditional method materials, and primer level students who need additional lateral supplementation. Music is notated on the grand staff with minimal note name aides and fingerings. Super Soundtrack includes vocal versions, duet play-along tracks, and orchestrated play-along tracks for all eighteen songs. 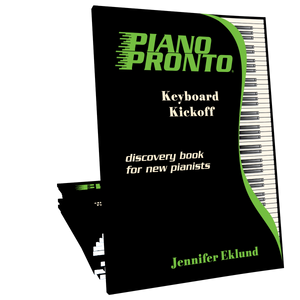 This is a great book for beginners! I have been using it as a supplement for my young students who need extra reading reinforcement before moving on to the next level, and they love it! 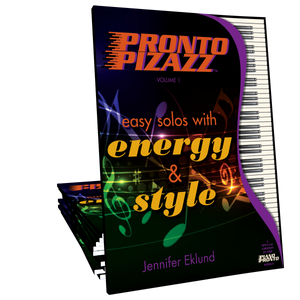 The duets which are included in the book make their music sound "big" and as a teacher, they keep me having fun as well!